This is a listing for 12 premium handpicked natural Ringneck pheasant tail feathers. 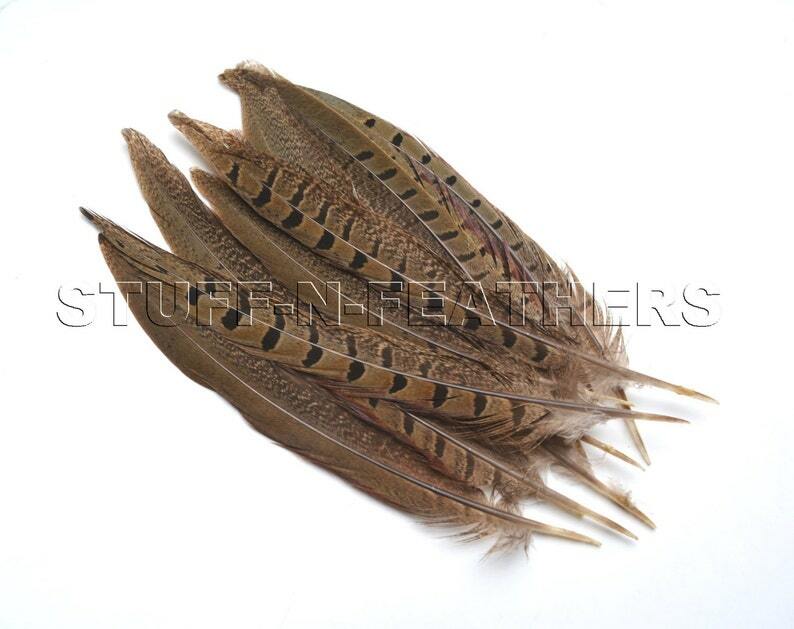 These beautiful natural feathers in soft shades of brown have unique combination of speckled and barred pattern. Superior quality at an affordable price! 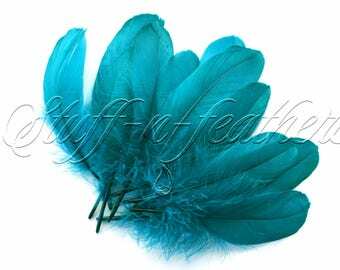 These are stiff feathers with silky hair and soft rounded tip. These are not straight feathers, they have very slight natural curve (see pictures) and they will hold their shape. Because of these qualities these feathers are well suited to mask, head dress, millinery, costumes and other applications where stiff long feather with unique natural color is needed. *This is a natural feather, and the color pattern may vary.